Mr. Richardson began his legal career in 2000 after earning his law degree from the University of South Carolina School of Law and his admission to the South Carolina Bar. After two years as an associate at a general practice firm in Myrtle Beach, he joined the 15th Circuit Solicitor's Office where he served as a prosecutor for nearly 13 years. As he quickly rose through the ranks to become a lead prosecutor and trial attorney, Mr. Richardson gained vital and invaluable insight into criminal law, unique to someone who has spent so many years on the other side of the aisle. 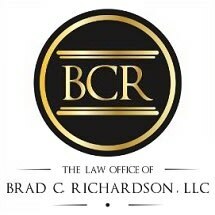 Whether your legal need is the result of a recent arrest or someone you love has been injured due to another's negligence, you can turn to the The Law Office of Brad C. Richardson, LLC for representation. Regardless of your need, Mr. Richardson will fight diligently to protect your rights and interests throughout your legal proceedings. To learn more about this law firm, you can schedule a free initial consultation at his Conway Law Office.